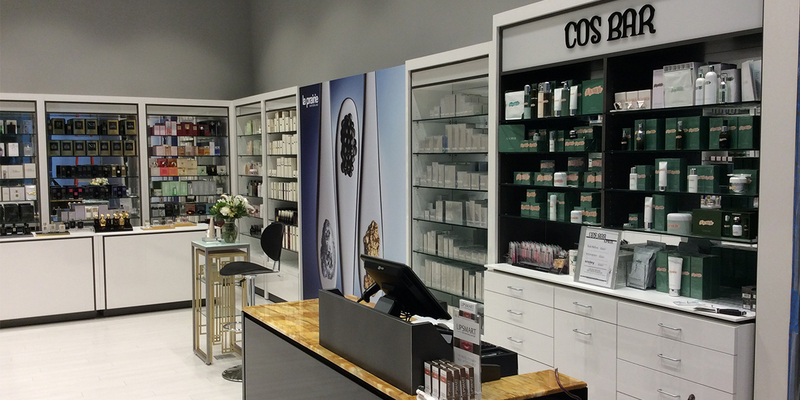 This high-end specialty beauty retail wanted to create a clean & minimal space that showcased the products. 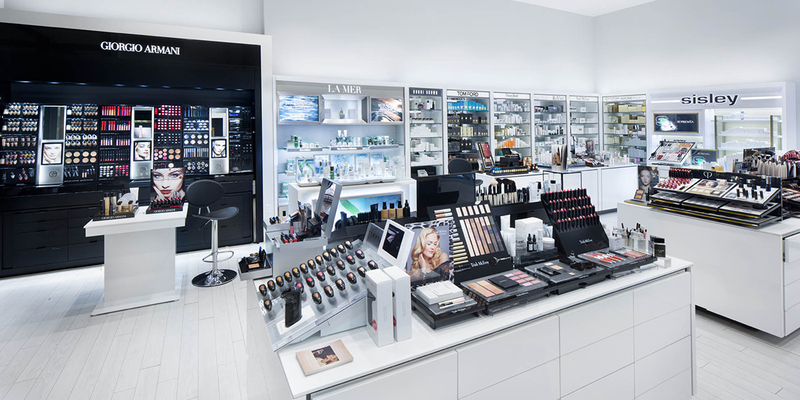 The design intent was to create a timeless, luxury look that focuses the customer on the beauty products. The bold storefront draws in customers to the lavish and enchanting atmosphere. The gold stone surround frames the signage and entry, while the lit sensitile softens the hard lines. 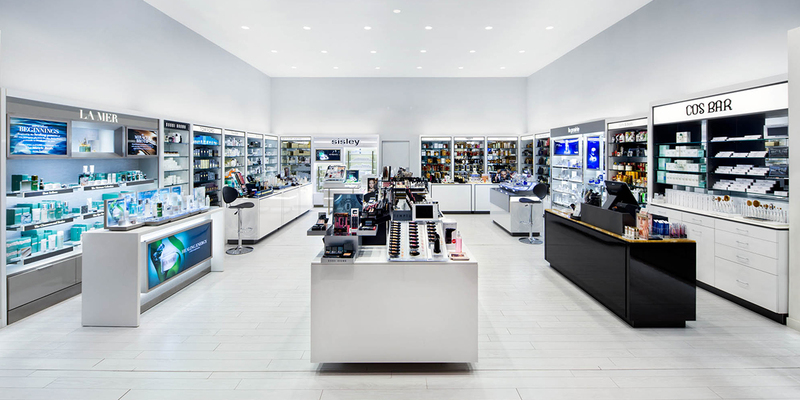 The majority of the fixtures are around the perimeter, while island counters create an area for customers to sample and find the best product for them.